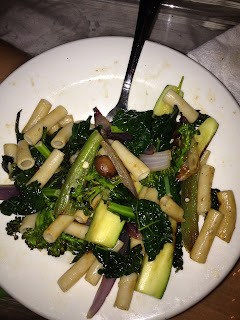 I know you all want to see random meals i have made or consumed throughout the summer. My go to food is a veggie stir fry but here is a mix of other things i have made. they are all GF V :) enjoy! 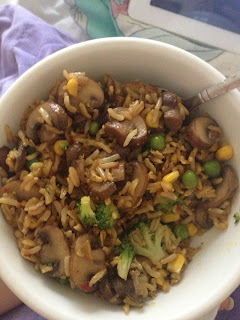 This is long grain brown rice with steamed broccoli, corn, peas, and sauteed mushrooms. it was topped with gf soy sauce. 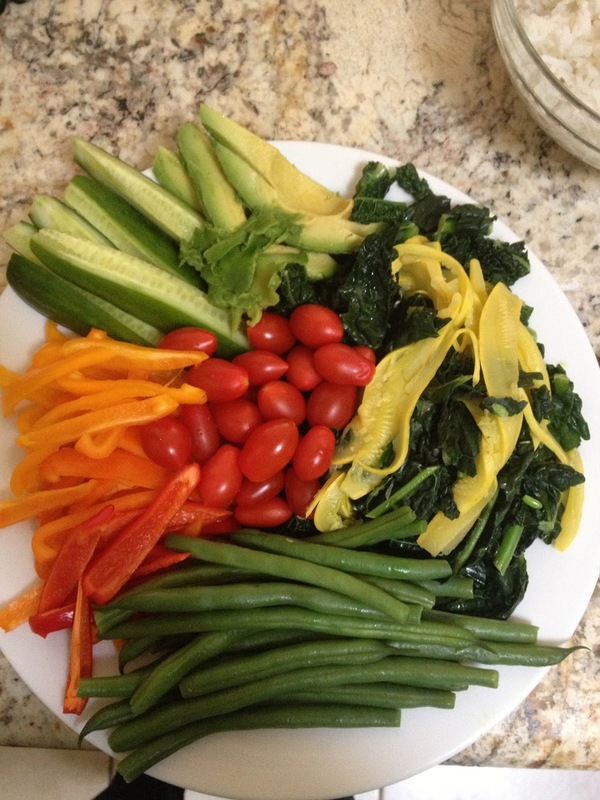 Lightly steamed veggies- green beans, bell peppers, kale, and yellow squash- avocado, cherry tomatoes, and cucumbers. GF V mac and cheese with mushrooms, corn, and peas. i used Daiya cheddar cheese and Trader Joe's brand rice pasta. Pasta with sauteed veggies- mushrooms, onions, kale, and jalapeno sauteed with the trader joes brand coconut oil cooking spray. 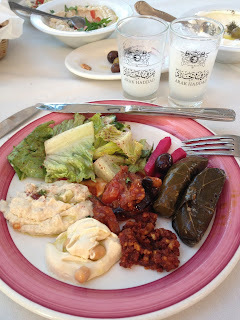 Dinner at a Lebanese restaurant all GF/V options- salad, veggie stuffed grape leaves, walnut and red pepper, baba ganoush, hummus, eggplant and tomatoes. a nice weird combo of lentil soup, spinach, avocado, brown rice, and a Lebanese dish made with tomato sauce and green beans. 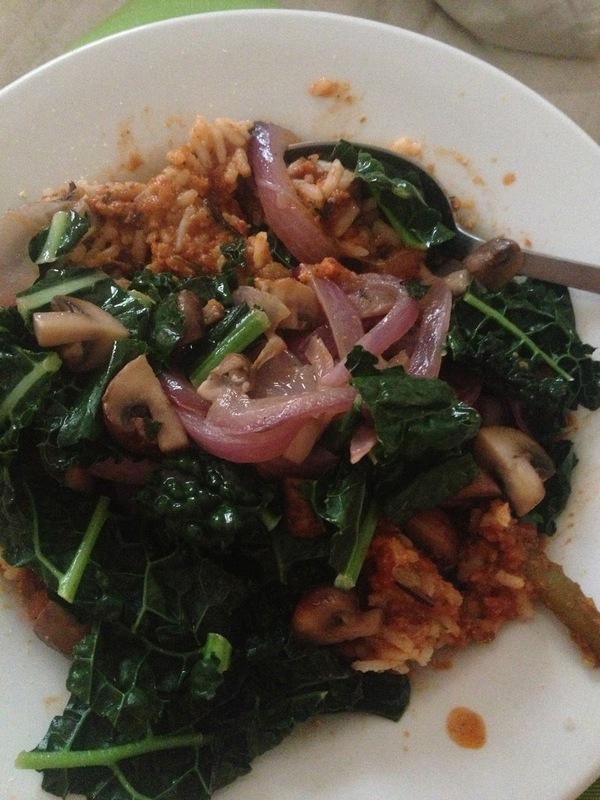 steamed kale, sauteed mushrooms and onions, with tomato sauce and rice. 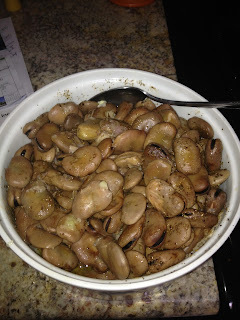 weird vegan things i scrounged up during camping- fava beans, grilled zucchini, and salad. i made the fava beans at home- soak beans overnight, boil in water, add onion when beans are 3/4 of the way cooked. 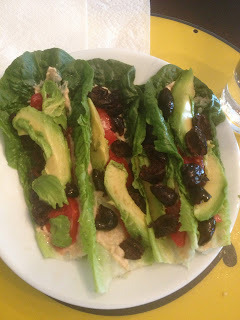 serve with olive oil, lemon juice, and zatar spice mix. this is a middle eastern breakfast food. babysitting lunch- lettuce wraps with hummus, olives, tomatoes, and avocado. GF/V chilli cheese fries! 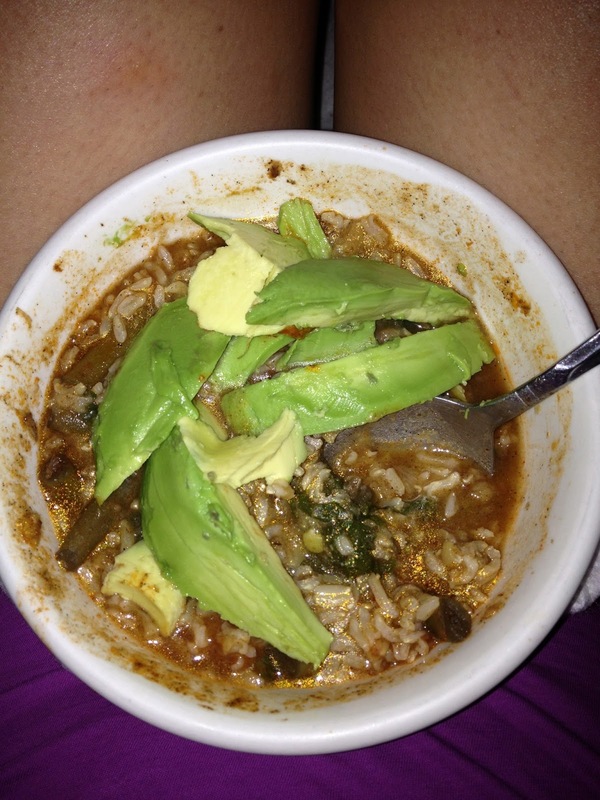 i used trader joes soyrizo (its gf/v) and daiya cheese. 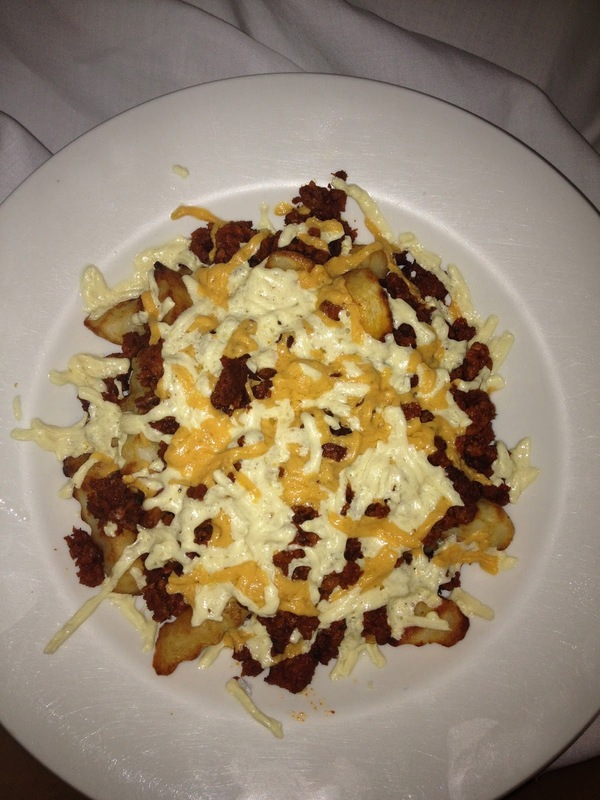 the fries were from the freezer aisle of whole foods. 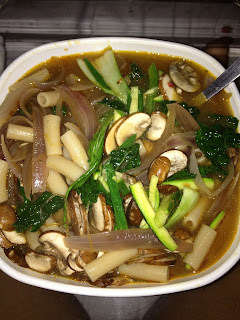 last, but not least, my faux asian soup- recipe in next post!